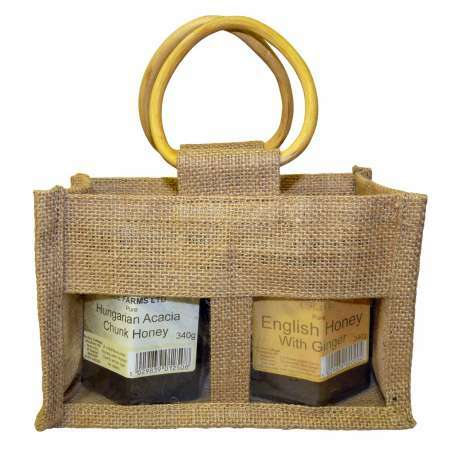 Two Jar Jute bag with clear windows and cane handles. Available in natural, green or red. Fits jars, decanters, ideal to make your gift very special.